How's your 2017 going so far? We're already about a month in, and I hope everyone's been enjoying the fresh start this new year has given us. 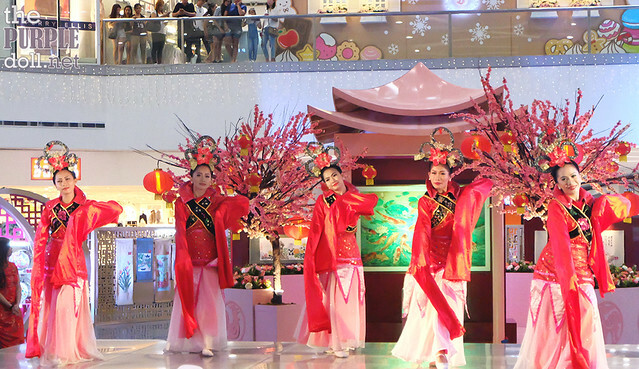 Anyhow, as we've bid the past year good bye, we'll also be in for the Chinese New Year. And being a Chinese-Filipino, I find it fascinating how this big Chinese occasion has nicely integrated to our Filipino culture. Will you be enjoying tikoy this coming CNY? Go on a food tour in Manila's China Town? Or perhaps learn about feng shui and how to increase your luck? 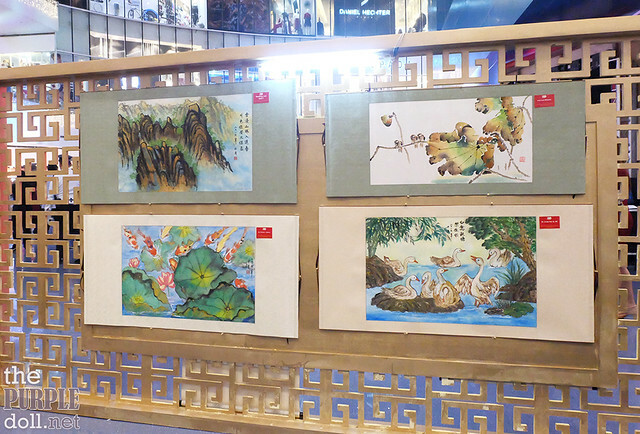 Why not check out and learn more about Chinese painting the next time you go malling? 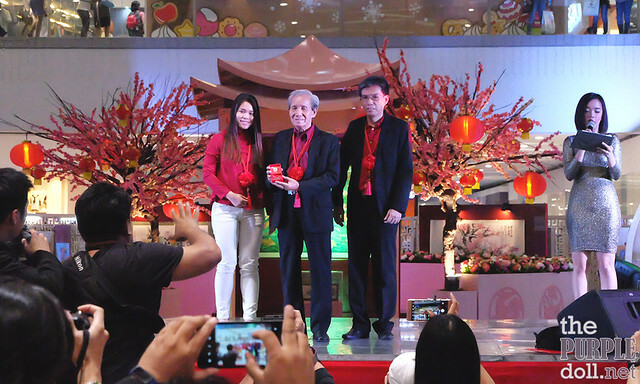 This year, to celebrate the Chinese New Year, the Chan Lim Family of Artists and Students has partnered with SM City North EDSA to hold a special exhibit. 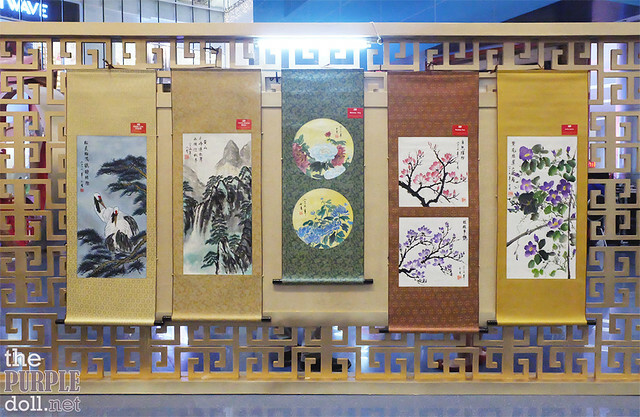 From January 15 to February 12, you can view and enjoy more than 300 artworks -- from painted porcelain plates, scrolls and even oil paintings, at SM North's The Block Atrium. Before the official opening of the exhibit, media guests and bloggers were given a basic workshop on Chinese painting. You can just imagine my excitement, since I've always been a fan of this art form! 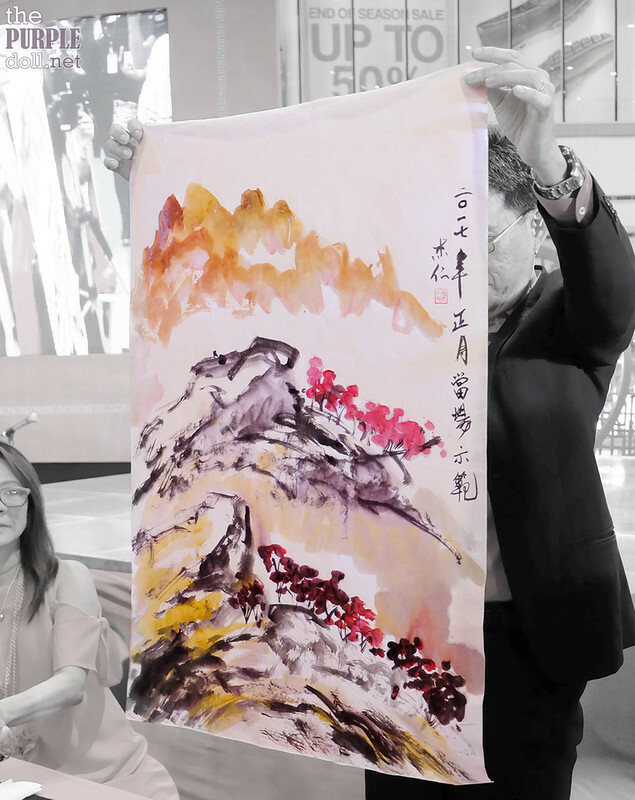 We first watched Dr. Alex Chan Lim do an on-the-spot Chinese painting demonstration. Despite the number of the people gathered around him, the flash of lights and sounds of cameras, he was able to paint an orchid, and even make a beautiful landscape piece. 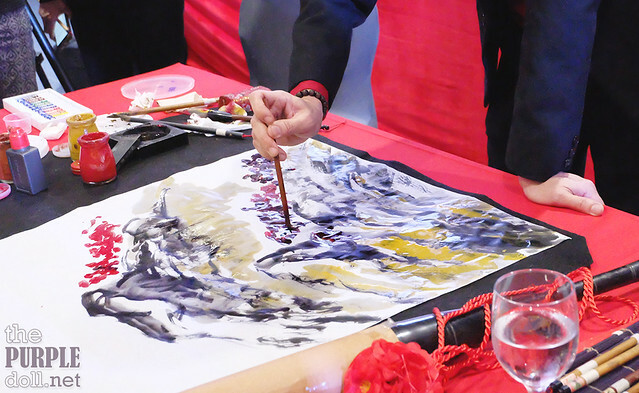 Every flick of his brush looked effortless, but it became apparent when it was already our turn that Chinese painting isn't as easy as he made it seem. Each table of eight had an instructor, and we were told that Chinese painting can be learned by anyone... As long as the person is willing to learn. Students of the Chan Lim Family of Artists and Students come from different walks of life, with varying degree of art exposure. Some has already been acquainted with painting but in a different medium or style, others are enthusiasts trying it out for fun, and there are also those who have zero background in art. Although I love art, it has been many, many years since I've last drawn nor painted. However, holding the Chinese brush (also called "mo pit") has inspired me to give traditional art a go again. 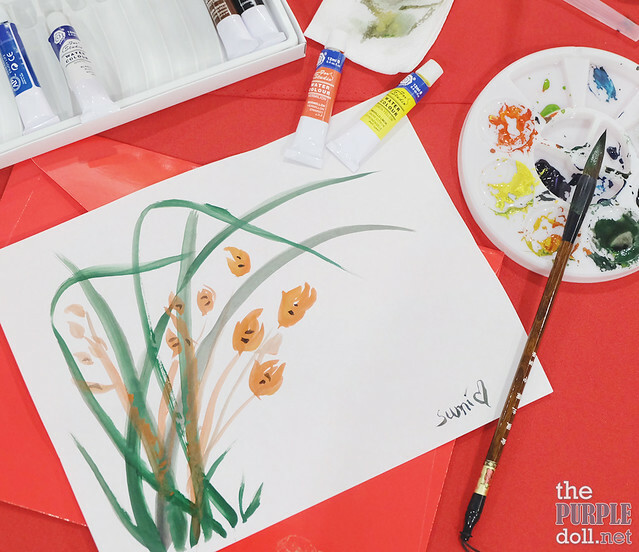 We were taught how to paint the bamboo, orchid, and chrysanthemum. I seriously enjoyed the workshop and trying my hand at using the Chinese brush. Although I'm far from good, I'm actually considering taking Chinese painting up as a new hobby! 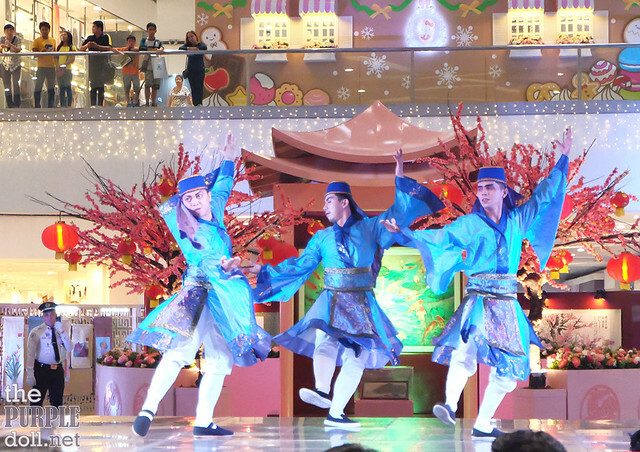 After the crash course in Chinese painting, dance groups showcased their talents as they graced the stage in colorful outfits. We also witnessed the not just the lion dance, but also the dragon dance! Now I'm very positive my Year of the Rooster will be quite lucky. 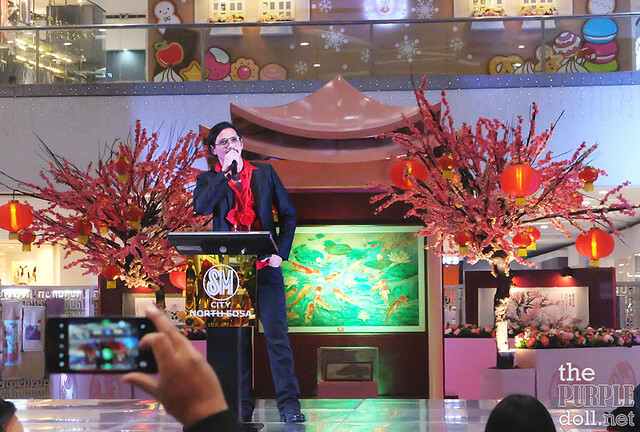 Mr. Robin Padilla also graced the event to congratulate the Chan Lim Family of Artists and Students for the opening of the exhibit, as well as to greet the Chan Lim patriarch a happy birthday. 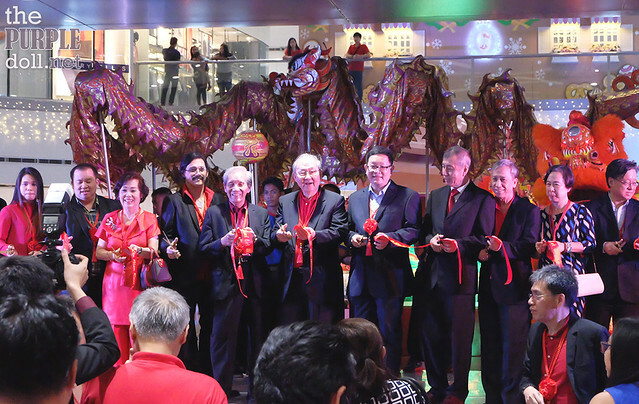 This year, Mr. Chan Lim, the family's patriarch, celebrates his 80th birth year. This is a very auspicious milestone in the Chinese culture. And with this, all the art exhibits during this year will be highlighting this event -- with eight exhibits specifically-themed to celebrate the felicitous family occasion. With the ribbon cut, the exhibit is finally open! I've already had my first viewing of the exhibit, and it's definitely a beautiful one! I didn't take a lot of photos since paintings are better appreciated when viewed in person than on the screen. If you'll be finding yourself in SM North EDSA until February 12, I urge you to take a trip to The Block Atrium and enjoy seeing the beautiful artworks of 43 talented artists from the Chan Lim Family of Artists and Students. 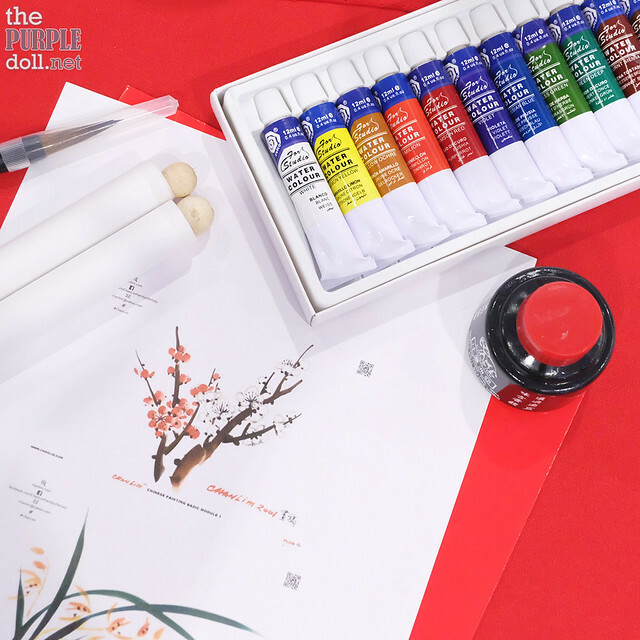 And in case you're interested to take up a new hobby, the Chan Lim family who is sought after in Chinese brush painting also conduct art classes in their Pasig City family studio. You may email them at chanlim@yahoo.com or view more of their artworks at www.chanlim.com.